My reading speed was 416 words per minute. Slower than I used to be and slower than what I was expecting, so I definitely have a new motivation for reading more. Because practice has to help right?!? 🙂 What speed did you get? Was it what you were expecting? This is an excellent book on life as a teacher in the new state of Arizona. It was compiled by her granddaughter, who used her diary, letters, and research surrounding the time Elsie Hayes spent in Arizona. She was a school teacher from California who ventured in the “wilds” of a state newly brought into the union. She first taught at Cornville, where they did not have any of the modern conveniences of the time. From there, she taught at Williams for two years. It was quite a fascinating read! I enjoyed learning about how different it was then. I also grew up near that area, so it was fun reading about some landmarks that I am familiar with. One thing that I did not like was the choppiness of the writing. It was taken directly from her diaries and letters that she wrote and received, but there are a lot of gaps. She had burned a lot of letters that would have been great to fill in a lot of the questions you develop as you go along. With the limitations though, it was quite well put together. I really enjoyed the extra research her granddaughter, Barbara Anne Waite, did to help fill in the gaps that Elsie left. I would definitely recommend reading this book to get a look at the early times of Arizona statehood! 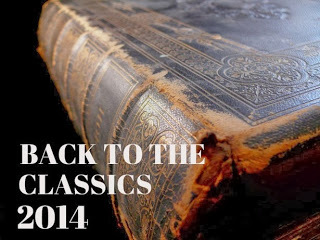 And now, I’ll get to the book challenges I am going to join in 2014! I have actually never participated in book challenges before. I am so excited to try some out this year. The toughest part is going to try to limit myself on how many I do 😉 I am coming a little late to the game, but it’s not too late to start! Reading books that have been turned into movies and then watching the movie. I am looking forward to this one. You have to read 6 books in the 6 categories given. This one will be fun. There are 14 categories you have to complete. 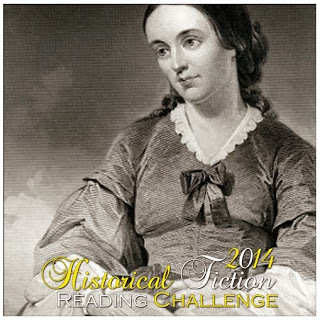 Challenge to read historical fiction. This is one of my favorite genres! Okay, so that is six book challenges! There are so many more that I want to join in, but I should really try to keep these goals achievable haha! Have you ever tried a book challenge? 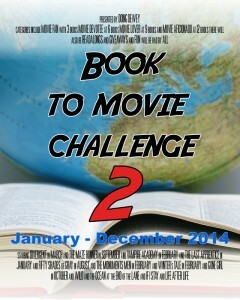 What book challenges have you joined in this year? Leave the links in the comments, I’d love to check them out! That sounds like a very interesting book. Thanks for sharing. I love to read, just never seem to have the time! I enjoyed your post! I took the reading challenge and only scored 181 words per minute. I do tend to read very slowly because I really make an effort to understand what I’m reading. And that passage slowed me down because the writing style was unfamiliar to me. I honestly don’t do much reading, though I did enjoy reading when I was younger. After college I was burned out from being force fed dry reading material! I just didn’t want to pick up books anymore. Nowadays I mostly read for information. Whenever I have a question, I google it. I did discover free ebooks, I love downloading books I think I will be interested in, but I have actually read very few of the hundreds of ebooks I now have. I should participate in the ebook challenge because it is a goal of mine to read more of those ebooks and to review them on my blog. Thanks for the inspiring post! I totally understand that sentiment Anastasia. I was pretty burnt out after college too. Good luck with your ebooks, those are always nice and super portable 🙂 Thanks for stopping by! I had fun taking the reading test! Thanks for sharing some interesting reading challenges links. I love the read the book and watch the movie list! I am glad you enjoyed it 🙂 I thought it was fun! I got 440 words! Not bad considering it’s not my native language. 🙂 I love reading, too, but lately it’s been like the greatest treat. It’s not easy to find time for it. I also find that reading makes it so much easier to read. Probably because it’s training your mind and your creativity? I will have to take that test. I could get completely lost in a book, and have, finding myself reading into the wee hours of the night. That doesn’t bode well for early rising though. 🙂 I heard my librarian say once that she chose to make reading a reward for herself so she could make the time to read. 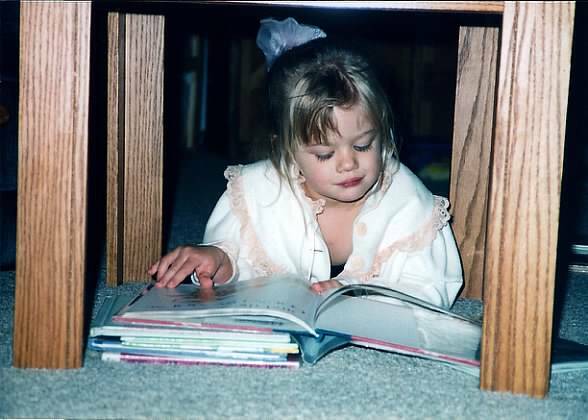 When the day was done, rather than watching TV or something else, she would cuddle with a book and a blanket and read. It has become a blessing to me to make that time to journey into a book and just enjoy the story. You will be busy reading! Good luck with the challenges. We like to read a lot and our Kobo Glo ereader keeps us up to date with old and new books by favourite authors! We have a TV but we simply don’t turn it in, we enjoy our books so much more. I love to read, too, and my challenge for this year is to read fifty books. I’m borrowing books from the library for my kindle and it’s been the best. When I couldn’t get to the library because of snow or cold I could still get books I wanted. Knowing the books would disappear in a few weeks motivated me to read fast. That is a great goal! I keep forgetting that you can borrow ebooks from the library. And that is definitely a motivating factor 🙂 I still haven’t been to the library since I moved to my current city, I so need to. I loved reading when I was growing up but its really difficult to find the time these days. I think the books are always better than the movies they are made into. I don’t understand why the producers have to change so much. I love to read. It’s been a while since I even picked up a book though. It is pretty hard when you have three kids and other duties. Last year, I was in the Savvy Reader Book Challenge and read 257 books; I am doing it again. 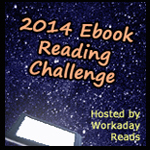 I’m also in the Good Reads 2014 Reading Challenge and have set a goal for 200. I love reading – and so does my husband and my teen loves to read, too. We are all bookworms! I try to find time during each day to read….sometimes I’m up until 1:00 a.m., because that’s the ONLY free time I have! Oh wow! That is awesome 🙂 I would love to get to that point someday, I used to and then I just let life get in the way and time flies! I am hoping these challenges keep me on track. It’s great that you love to read! From time to time I can get caught up in a book, but I typically don’t enjoy reading. I wish you all the best with your book challenges. Thanks so much Teresa! 🙂 My sister is like that too, she has found a few books she enjoys, but otherwise she just doesn’t enjoy it. Thanks for stopping by! My goal is to read the bible from cover to cover. I have started and stopped many times but I plan to keep with it. I’m not a great book reader. I prefer magazines as shallow as that sounds. I stare at a computer all day while at work and the last thing I want to do is read a thick book. I wish I had it in me but I’ve tried many times and just don’t. I am an avid reader. I read at least 30 minutes before bed every night. Where do the book challenges come from, I think I might like to try a few. Also, it took me a long time to get a kindle, now I wouldn’t have it any other way! I don’t know what to do without it. That is great! I am really enjoying the challenges so far, it is keeping me motivated 🙂 I found them through various blogs, I linked each one back to the original challenge. There are so many out there, it’s great! I love reading books of any kind. I just bought a Kindle and can’t wait to start using it. I always have a book in hand and I read during commercials when watching TV. That’s a great idea 🙂 I am loving my new kindle, it is so portable! That was fun! I got 586 words per minute. Which is about what I average I think. I fell down to about 400 rdurong my last year of college and was exhausted all the time. I love book challenges and I really should sign up for one. Right now unfortunately it seems like my goal should more be along the lines of “open the book dad sent 6 months ago”. I did a challenge back in 2009 I believe it was, of reading 100books in a year. That was a GREAT year. I read almost anything I could get my hands on and it really did broaden my taste in books. Thanks for a great post! I love that too 🙂 I’ve found some great books that way so far. I love to read too, but I’ve never been part of s reading challenge. I think that I will have to join one of the challenges. I’ve never even kept track, I would be really interesting to see how many books I read in a year. It is definitely a good way to keep track 🙂 It is helping me so far. I know exactly what you mean by the “feel” of a real book. I’m a kindle reader right now as I’ve adapted a more digital library living in a smaller place – but I definitely make a visit to the library to get myself a good old fashioned book. I’ve never participated in a book challenge – as it’s very challenging to pick up a book these days. But I imagine a book challenge would keep me accountable and more committed to reading. What a great idea! Great post! I need to find more time to read, and make it a priority, instead of something that I set aside to do another day. Oh that sounds awesome! 🙂 I loved Babysitters Club! Brings back memories. I too love to read. I just no longer really make the time, were always here there and everywhere. I never knew of book challenges…but they are intriguing. I just might have something new to try… thank you! My grandmother encouraged me to read. She had a closet in the living room she called the book closet. She would go to bargain sales and find old school books of all types. This closet had shelves all the way to the ceiling. I would go in there, turn on the light, and close the door. I would stay in there for hours. Sadly, these days unless I’m waiting on school to get out or at an appointment waiting room I seem to not have much time for reading. I am trying to get back though. I love Nicholas Sparks books, and my hubs found me one for 3.00 that I’m reading called The Choice. That closet sounds great! I love that 🙂 I too really enjoy Nicholas Sparks books. I haven’t read The Choice yet, but I have loved each book I have read from him so far. I love to read, but at the moment don’t get the time that I used to have. I do read stupidly fast though but have realised I often don’t take a lot in. I skim the plot and don’t concentrate on the details. I’m trying to get myself to slow down. I have never tried a book challenge before, but I’m loving the look of some of those so I think I will be giving them a go – thanks for the heads up! I too love to read! Right now I’m on modified bedrest so I get through about a book every 2 days but I’ve always been at least a book a week kinda mom. My kids (5, 4, 2, & 1) have just learned to deal with it and it’s fun to see them go get their books and blankets when they see me sit down with mine. I love to read! it is really hard to find time to read with all the business of life, lately I’ve been squeezing some reading in on my kindle after all lights out, i use a little reading light, it’s great. I dont have to get up i can slip it under my pillow when my eyes get tired. Sounds like an interesting read especially since I am now living in Arizona. Thanks for sharing! I love to read! I read all Nicholas Sparks books & other romance/drama type books. 🙂 I could read those all day! I love Nicholas Sparks books too 🙂 Although, they always make me cry lol! Thanks for the list and post. My children and I love to read any chance we can get. 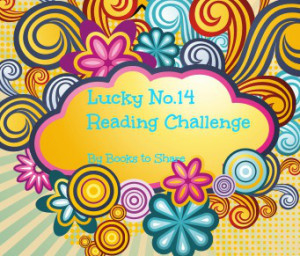 I’m going to try the reading & book challenges, it should be fun! Good luck! 🙂 I am having fun with it so far. I love, love, love to read and wish I had more time in the day to be able to enjoy books. I do manage to steal a few moments and have read so many good ones lately. I think I’m going to check out your reading challenges. I’ve never done one but they seem like they might be fun. I do need to ask though…do you like your kindle? I’m on the fence about getting one. There’s something about holding a book that I love, but I like the ease and versitility of the kindle. What do you think of it? Would you recommend? I love to read, but its only one of my hobbies so it doesn’t get as much attention as others. I have discovered listening to some of the books I want to read as an audio book. That way when I am in the car for long periods of time, at least I am getting to “read” a book on my list instead of never getting to it. It also makes long car rides or workouts go much faster! I love to read, but oh man I don’t know if I would want to know my reading speed or not! I am thinking that it would probably be rather slow. I love to read too but in recent years with kids and work and everything I don’t do it as much. My only goal now is to finish the book I bought – The Signature of All Things by Elizabeth Gilbert. I love to read as well. You put a new spin on it by creating the reading challenges. I really like that idea. I love non-fiction. Thank you for sharing your passion! 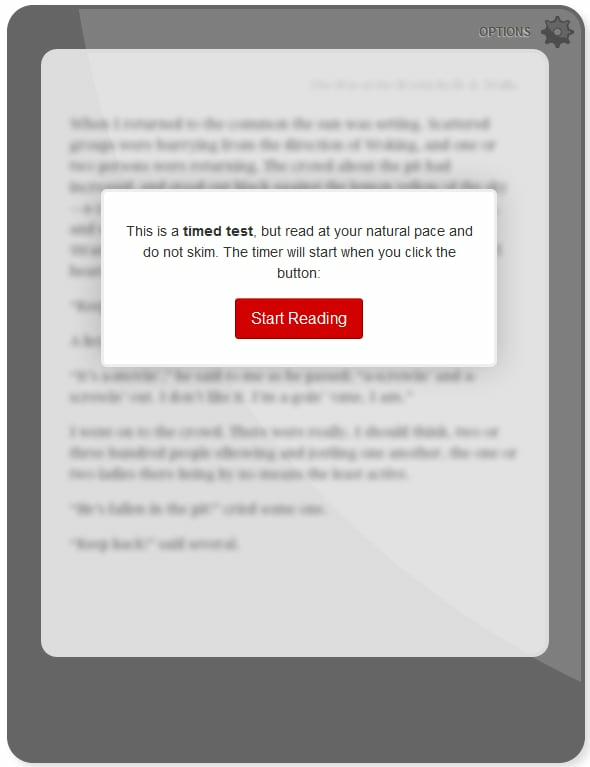 I was very surprised to read that reading content over the internet lowers one’s reading speed. I did not have the time to take the test today; however, I would like to come back to it. I am trying to read 50 books in general this year. It’s proving to be a challenge with three under 3 in the house. I am trying to do what I can but it’s hard to find the time usually. Thanks for joining the banned books challenge — good luck & have fun! I love to read but haven’t had much time for it lately. I need to work it back into my schedule.